This hands-on, interactive session will introduce you to the County’s new historic preservation program and walk you through writing an effective nomination, finding the necessary information, and navigating thepolitical process. Space is limited to 50 people, so we’re looking for participants with an active interest in completing a local landmark nomination. We will focus on the landmark process for the County of Los Angeles, which covers all unincorporated communities, though much of the information will be applicable to other cities. 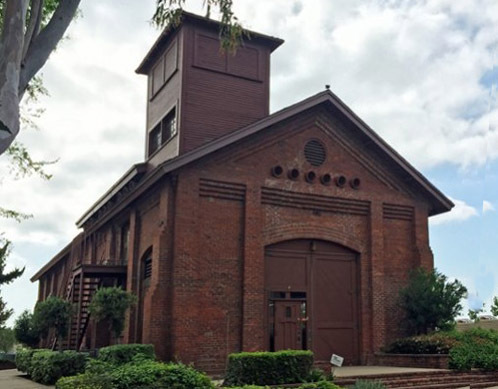 NOTE: The above photo is the Pacific Electric Railway Company Substation No. 8 — National Register of Historic Places site #77000295; also known as the Altadena Substation — located on North Lake Avenue in unincorporated Altadena (Laura Dominguez/L.A. Conservancy). The building now houses offices and the new Full Circle Thrift Shop. The traction substation was built in 1905 and used originally to power Pacific Electric Railway lines in the Altadena area and the Mount Lowe Railway. In 1941, when PE sold its Pasadena area lines to Pasadena City Lines, a subsidiary of National City Lines, the substation was included in the sale. It was placed on the Register in 1977 for its significance as a part of the Pacific Electric Railway. The workshop will take place February 4 from 9:30 a.m. to 12:15 p.m. in the Altadena Community Center (730 E. Altadena Drive), with check-in beginning at 9:00. Admission is $10, including materials and refreshments. If you know of a specific historic place you’d like to see protected with landmark status, we hope to see you at the workshop!